On this episode of DTB’s “Dream Tour”, the indie pop band, Misterwives, discusses their ultimate tour lineup, while on tour with Smallpools and Vinyl Theatre. On this episode of DTB’s “Preshow Rituals”, the indie pop band, Misterwives, talks about what they do before taking the stage, while on tour with Smallpools and Vinyl Theatre. On this episode of DTB’s “Tour Pranks”, the indie pop band, Misterwives, reveals the pranks they’ve pulled on tour, while on tour with Smallpools and Vinyl Theatre. On this episode of DTB’s “Tour Tips (Top 5)”, the indie pop band, Misterwives, recommends their tips for being on tour, while on tour with Smallpools and Vinyl Theatre. 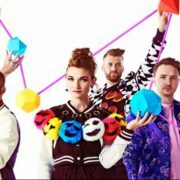 Misterwives is currently supporting their 2017 album, Connect the Dots. The indie pop band, Misterwives, has announced a U.S tour, called the “Let the Light In Tour”, for April and May. The band is touring in support of their latest album, Connect the Dots. 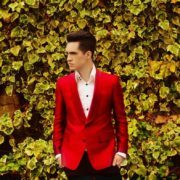 Flor and Flint Eastwood will join the tour, as support. 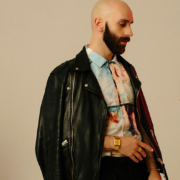 The alternative rock band, X Ambassadors, has announced a headlining U.S. tour, called “The Joyful Tour”, for February through May. Misterwives, Son Little, Mondo Cozmo, The Aces, Jacob Banks, SHAED, Fletcher, morgxn, and Now, Now, will join as support on various dates. On this episode of DTB’s “Crazy Tour Stories”, the indie pop band, Misterwives, shares crazy moments from touring, while on tour with Smallpools and Vinyl Theatre. Misterwives is best known for their songs “Reflections” and “Our Own House”. On this episode of DTB’s “First Concert Ever”, the indie pop band, Misterwives, chats about the first concerts they ever went to, while on tour with Smallpools and Vinyl Theatre. Misterwives is best known for their songs “Reflections” and “Our Own House”. On this episode of DTB’s “Bus Invaders”, we take you inside the touring vehicle of the indie pop band, Misterwives, while on tour with Smallpools and Vinyl Theatre. Misterwives is best known for their songs “Reflections” and “Our Own House”.